1). Take 5 minutes out of your day and leave a message on the facebook wall of Coles, Woollies, and Aldi and let them know you want GM food labelled. And follow us on facebook and twitter as well. 2). 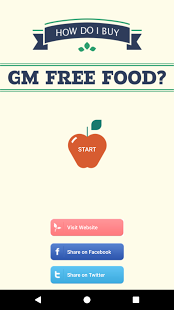 Call the manufacturer of your favuorite foods and ask if they contain GM. Congratulate them if they don't and if they do, ask them if they will consider producing the product GM free. 3). Spread the word! Word of mouth amongst friends and family is probably the most important way that you can help raise awareness of the safety issues surrounding GM foods. Talk about why you try to avoid GM and direct them to the MADGE website for more information. 4) Sign up to the MADGE digests and email alerts to be kept up to date with our ongoing work. 5) Check out this page on our website for lots of ideas on cooking, growing, swapping and shopping to create a Healthier, Happier Food Culture for all.